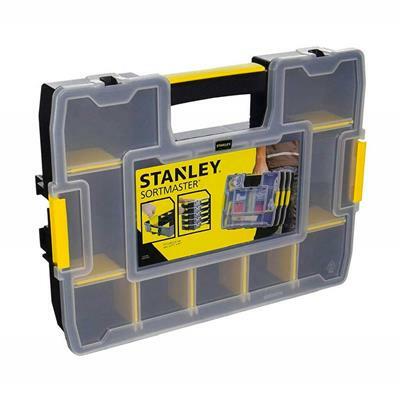 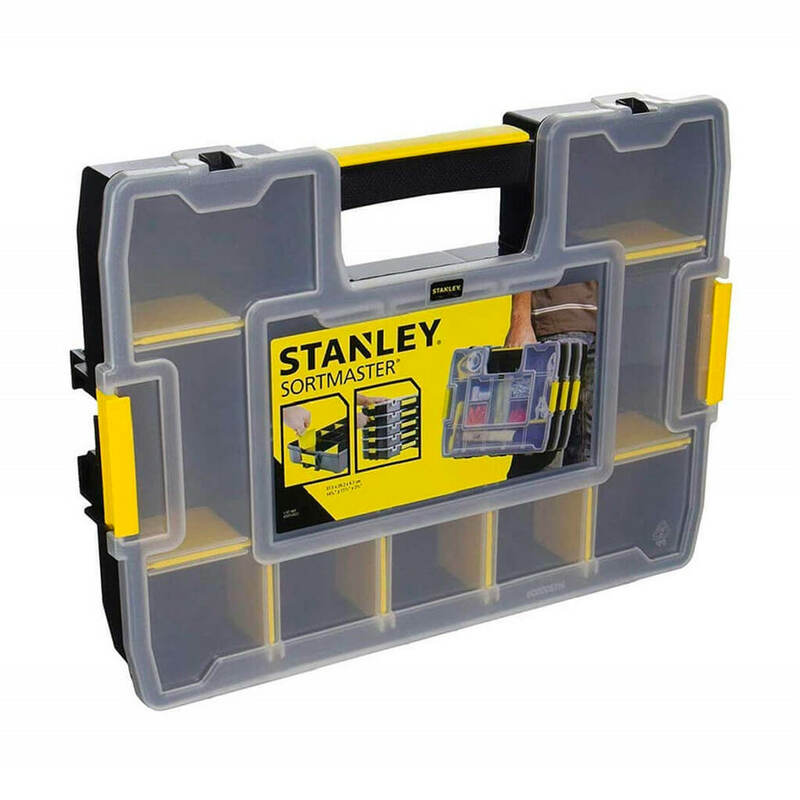 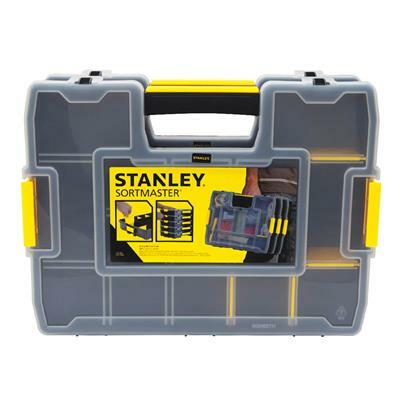 STANLEY STST14022 SortMaster Junior Organizer is innovation in a basic organizer. 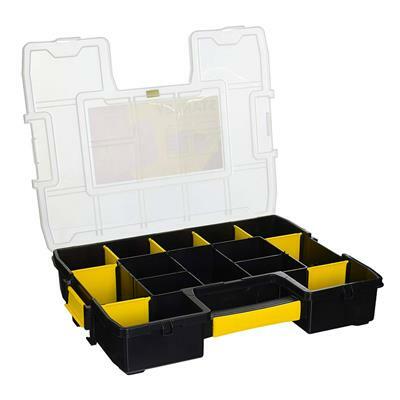 This organizer has innovative benefits such as locking latches and carriage of up to 3 units at once. The removable dividers provide high customization for small parts and larger hand tools, 512 configurations possible. 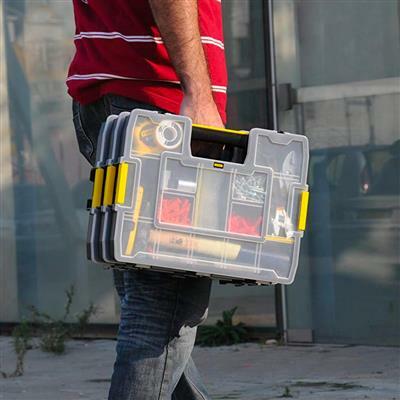 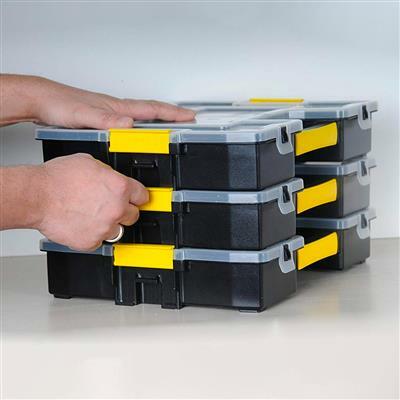 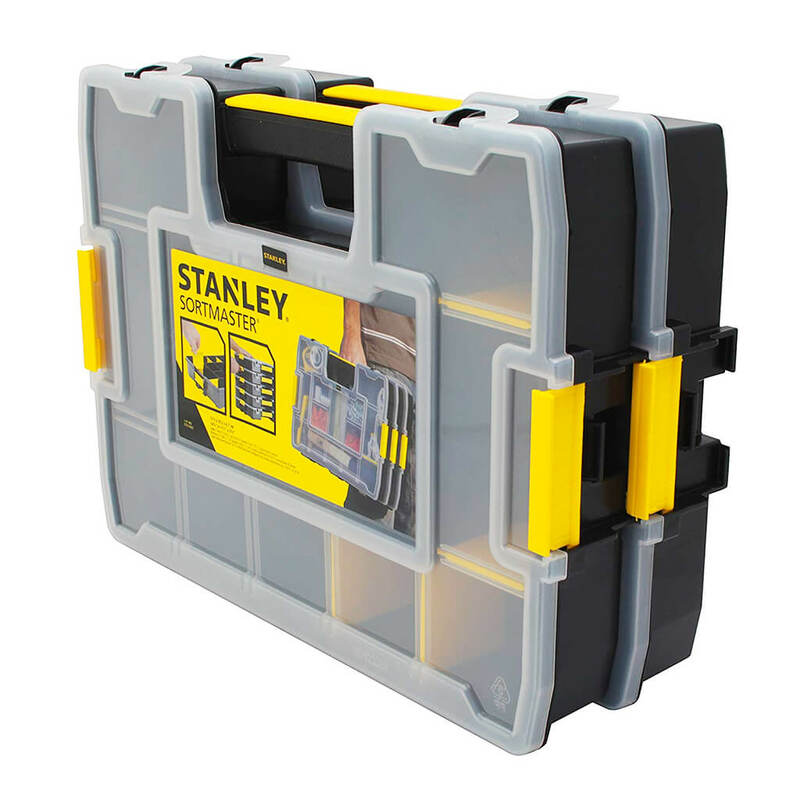 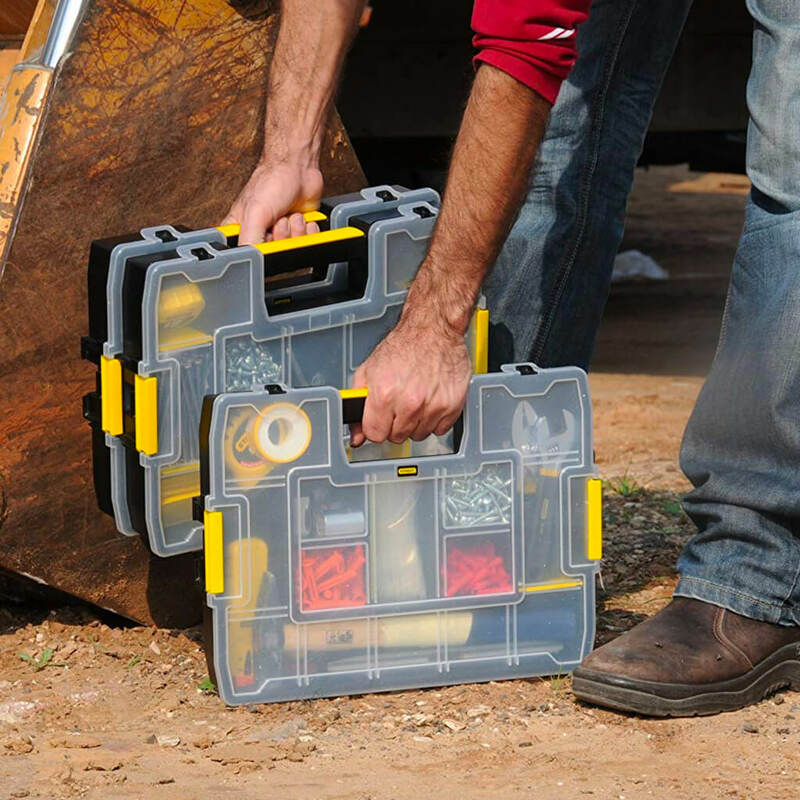 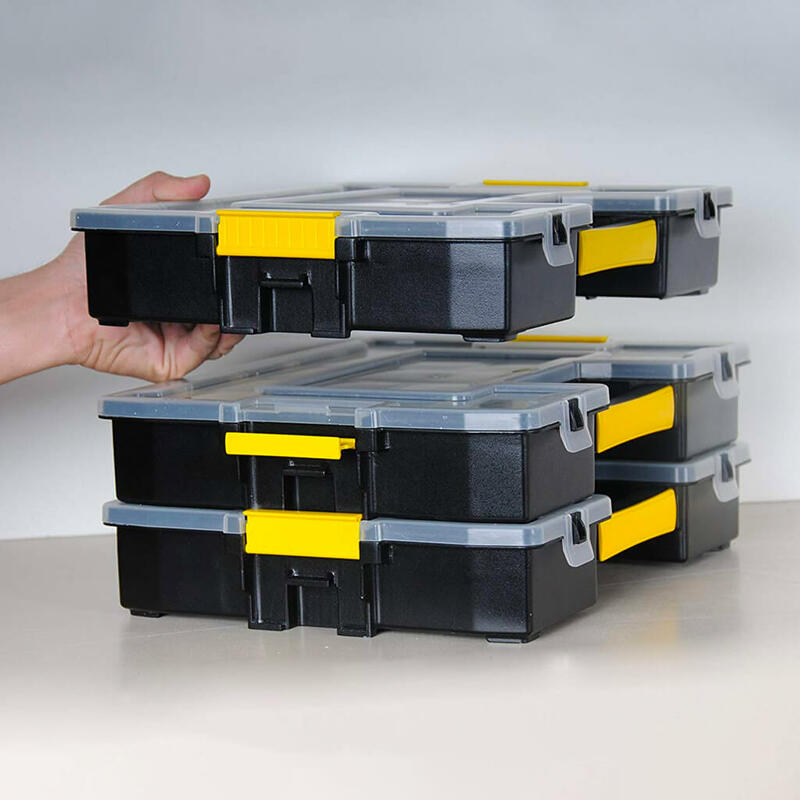 It features a unique 90 Degree angle design in the main compartments which allows for storage of hammers and angled tools or tape measure comfortably together with the small parts in the other nearby compartments. The special lid structure allows the upper lid to interlock with dividers. 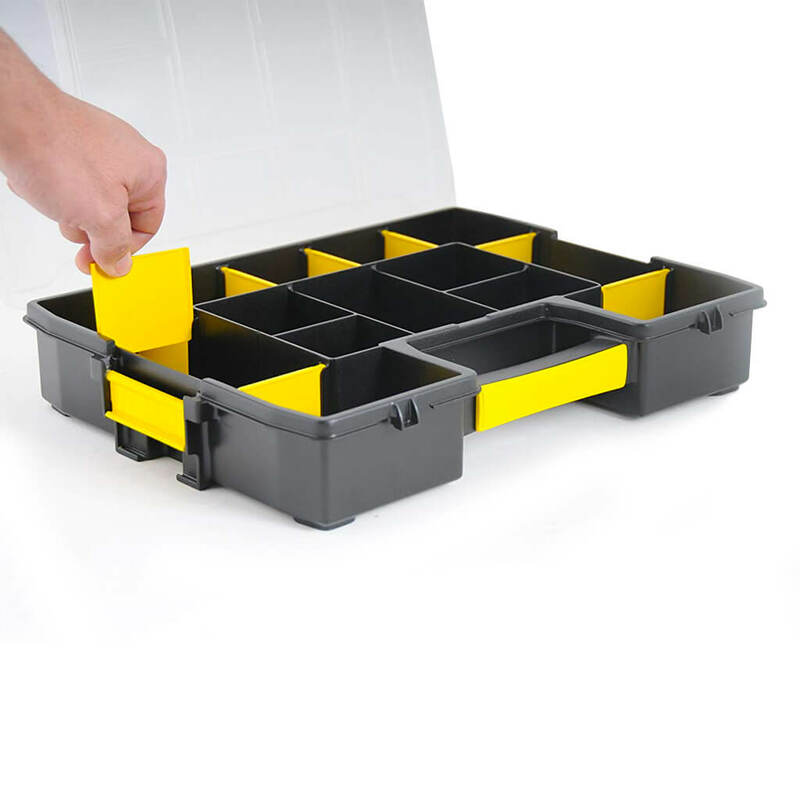 This prevents movement of small parts from one compartment to another.